More than 99%* of students who enroll in VetPrep pass the NAVLE® and we think you will quickly see why. We promise to help you study smarter and focus on what you need to know to be successful. Friendly and top-notch customer support plus "Ask an Expert"
Extensions may be purchased in 30-day increments. This option becomes available one week prior to subscription expiration. 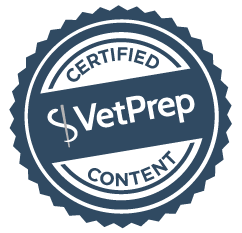 VetPrep was an excellent study aid and I felt very prepared when I took the exam. The statistics helped me focus my study sessions on the areas that I was weakest and I feel that I have retained a good deal of the information because I was able to spend extra time on my problem areas. Thanks VetPrep!